Plumbers can be a homeowner’s lifesaver. We had a plumber practically move in about 3 years ago due to the amount work that needed to be done. He was coming and going for a week. We had a clogged pipe under the house. Diagnosing it was difficult; fixing it was herculean. He pulled through for us but required jackhammering a hole in our basement and some serious work. Needless to say, we are forever grateful to him. He did not give up. Of course the bill was as big as his effort, but he earned every penny and a gift. 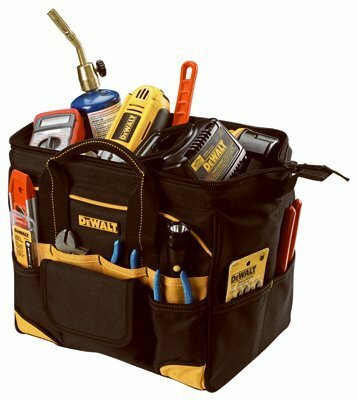 If you need to buy a gift for a plumber friend, family member or for a job well done, here’s a nice collection of great gifts for plumbers at various price points. Plumbers spend a lot of time on their knees, so the plumber in your life will certainly appreciate a gift that will cut down on their back and knee pain. This pad is extra-thick and ergonomically designed. It even has a handle to make it easy to carry. The plumber in your life probably works hard (or at least claims to work hard!). One of the best gift ideas for plumbers is something they can use to unwind at the end of a long day on the job. This whiskey glass, etched with a unique plumbing-themed design, is the perfect way to encourage your plumber to relax. Can your plumber do more in the kitchen than just fix the sink? If they’re a whiz with a wisk, some plumbing themed chocolate molds could really hit the spot. These molds will allow them to make fun “business cards” to brag about their chosen profession. Ties always make a great gift, so why not buy one that represents the plumbing profession? On this tie, a cartoon eagle victoriously wields a wrench. This is a perfect gift for a patriotic plumber who is proud of their profession. Getting up in the morning to go to work isn’t easy for anyone. If you want to help your plumber start the day off right, take a look at this novelty coffee mug. There’s no better way to get up and go than with a cup of joe and a good laugh. Everyone knows the stereotype of a plumber’s pants falling down. Help keep this from happening with this stylish belt buckle. Maybe with a cool buckle, your favorite plumber will be more willing to actually wear a belt to work! Plumbing is a thirsty business. While it can be tempting to live on caffeine, you can subtly encourage your plumber to drink some water by gifting them this funny water bottle. Who wouldn’t want to stay hydrated if they’re the master of the pipes? Every plumber needs a way to store their tools. This stylish bag has 20 exterior pockets and 9 interior pockets to make organization a breeze. It’s made from heavy-duty fabric with a reinforced bottom, so you can be sure that it will be sturdy on even the toughest jobs. Plumbing can be tough on the hands. Injuries like cuts and bruises are a common part of the job. These gloves not only protect the hands; they also come with an adjustable LED light to make working in dark spaces easier. Does the plumber in your life have a sense of humor? Do they love to come home and complain about their customers? If so, this cozy sweatshirt makes a great gift. It’s made from cotton and polyester and has a handy front pocket, making it a great addition to any plumber’s wardrobe. Sometimes, it pays to look spiffy. If the plumber on your gift list loves a chance to dress to the nines, consider this pipe wrench tie bar. It comes in sterling silver, brushed silver, antique brass, and brushed brass finishes. It’s the perfect gift for the dapper handyman in your life. This stainless steel flask is perfect for a plumber who works long hours and needs to unwind (although hopefully, they won’t bring the flask on the job!). Printed with a cute vinyl design, this flask is durable and fade-resistant, so they can use it for years to come! If your giftee loves to get into the holiday spirit, these tree ornaments could be the perfect gift! These cute blown-glass ornaments will surely sparkle on any plumber’s Christmas tree. These are great for even a casual handyman. Any plumber with a sweet tooth would be thrilled to receive these tasty tool-shaped treats. Shaped like pliers, cutting discs, bolts, and wrench nuts, these candies are available in both milk and dark chocolate to satisfy any craving. What’s more festive than cutting things to pieces? This handy hacksaw can cut through wood, metal, and plastic easily and quickly. It’s sharp and durable, so it will be a great asset to any plumber on the job (although, be careful that they don’t get carried away after that third eggnog!). This a great gift option to help the plumber in your life keep their work clean and precise. This level is magnetic, which keeps it straight and secure when working with metal. It’s light and durable and even comes with a holster to make it easy to carry around at any job. Does the plumber in your life complain of knee pain after spending a long day kneeling under a sink? These professional knee pads are perfect for cutting down on their suffering. Thes pads are ergonomic and provide great stability. They are lines with gel, making them the ultimate in comfort. This figurine is kitschy but too cute not to include! Depicting an adorable plumber hard at work, this figurine is made from durable polyresin. It is suitable for both indoor and outdoor use, so the plumber on your gift list will certainly be able to find a home for it! Is the plumber in your life always misplacing pencils? Then consider gifting them a pack of 50 customized carpenter’s pencils! The pencils are flat for easy gripping and can be personalized with the message of your choice. The best part: with 50 in a pack, they can lose quite a few and still never be without a pencil! If you’re looking for a classy gift that captures interests beyond plumbing, this clock may be just what you’re looking for. It’s perfect for the fantasy nerd who thinks about dragons just as much as they think about wrenches. This clock is made from solid oak and laser engraved with a funny Game of Thrones quote that pays homage to your plumber’s profession. It is the holiday season, so why not buy a gift that will keep them warm while allowing them to celebrate the holidays in style? This brightly colored knitted sweater depicts the world’s most famous plumber: Mario! This statement piece is another bit of classy decor that will look great in any room. Through words and photos, this piece describes the history of plumbing in a beautiful and tasteful way. You can even include an engraved plate to further personalize this gift. Who doesn’t love getting tools as a gift? This practical gift will make any plumber’s job easier. It features auto-level, backlit display, and long-range measurements to get it right every time. It is compact and durable and comes with a handy wrist strap to make it super convenient. If they have to spend the day at work, they should at least be comfortable. These cargo pants are perfect for allowing your plumber to pass the day with ease. These pants are durable and water- and stain-resistant. They also have 11 pockets to store a myriad of tools. A wrench is the most important tool in a plumber’s toolbox. An adjustable wrench is one of the best gift ideas for plumbers because it will allow them to use the same tool for a variety of jobs instead of switching tools frequently. This quirky, hand-made lamp is perfect for adorning a plumber’s home. This cute lamp, made to look like a plumber, is fashioned from 1/2″, 3/4″, and 1″ pipe and stands on a hardwood base. It is a fully functioning lamp that is sure to be a great conversation piece! So many tools, so little time! With this vest, your favorite plumber can carry all of their tools without the hassle of a belt or bag. It has cargo pockets, chest pockets, and a secure hook-and-loop pocket to keep every told secure and easy to reach. The vest is made of sturdy and stylish occidental leather. One word: cookies. This ultimate snack box is designed to look like a toolbelt, making it perfect for any plumber. It’s filled to the brim with delicious chocolate chip cookies and milk chocolate tools that will make anyone’s mouth water.